I realize it’s a little difficult to see, but this was taken from my cell phone in a room where cell phone (and camera) usage is prohibited. What you’re trying to make out right now is the board over the Senator’s heads which displays their votes. 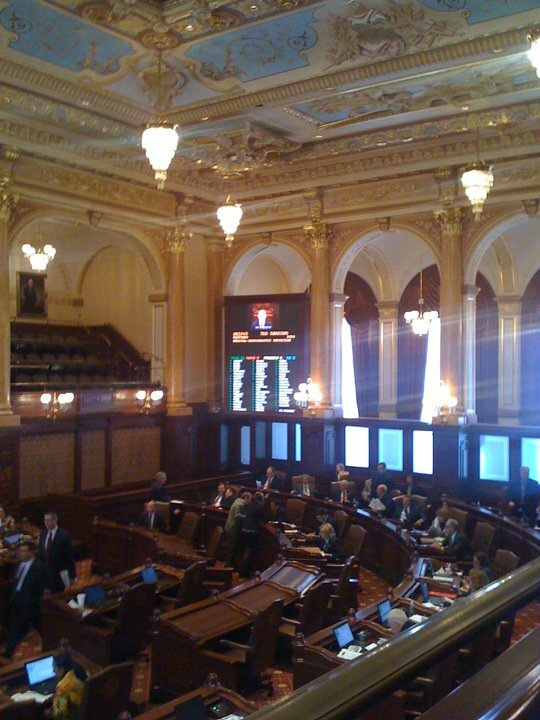 And those little green lights that you can just barely make out to the left of each Senator’s name: that’s your Oxygen bill passing the Illinois State Senate. Tomorrow there will be a vote on our Insurance Reform bill. Let’s hope it goes as smoothly.